Cambridge Skills for Fluency is a learner-centred range of materials designed specifically to develop students' fluency and confidence in listening, speaking, reading and writing. The books are at four levels from pre-intermediate through to advanced and are suitable for use as supplementary texts or as core texts on skills development courses. 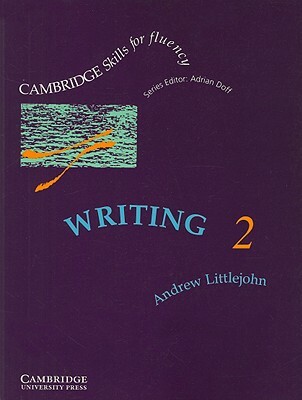 Each book in the Cambridge Skills for Fluency series: * promotes fluency by presenting a wide variety of both old and new topics in creative and imaginative ways * genuinely engages students' interest and encourages them to share personal reactions and opinions fluently * focuses on a particular skill but the other skills are integrated in a way that reflects real-life use of language * contains 20 units designed to take about an hour of class time, a detailed contents map and brief teaching notes.